SUPERB TITLE AT GREAT VALUE! This 'Introduction to Health and Safety for Office Workers' is presented by Clare Tomlinson, sports presenter and TV personality. Clare demonstrates common areas office risk and how to prevent accidents occurring. Helps you comply with the legal requirement to communicate health and safety to your office staff! 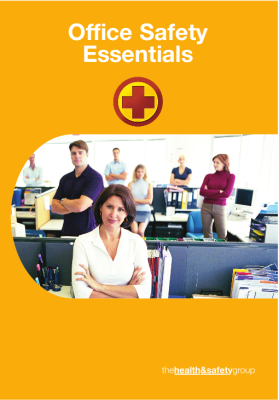 Buy Your Office Safety Booklets Here Today for Next Day Delivery! You can use 'Office Safety Booklets' in conjunction with 'Office Safety DVDs' and 'Office Safety Posters' to complete your office safety training regime and comply with safety law! SEE PRODUCTS BELOW.